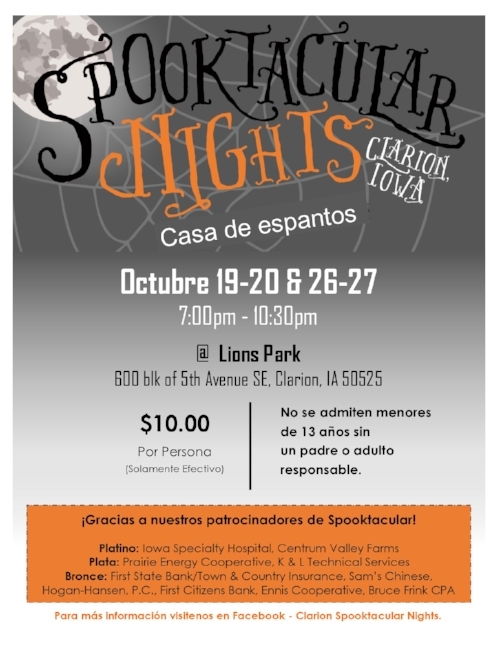 Spooktacular Nights is Clarion's Annual Haunted House event that is going on it's third year. It will take place October 19-20, 26-27 in 2018. This Haunted House was selected as one of Iowa's Top Haunts for the 2016 & 2017 Halloween seasons.